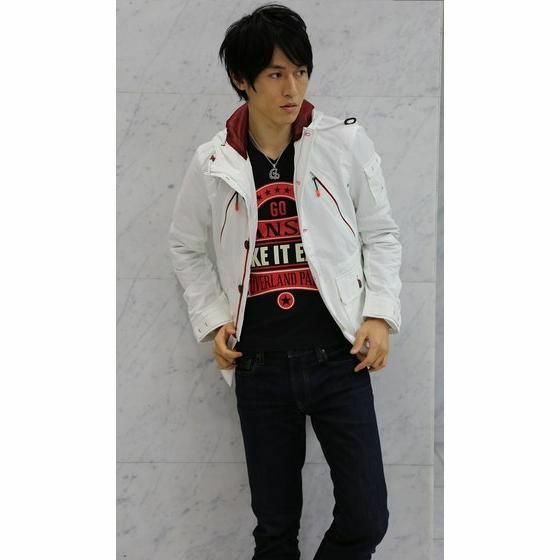 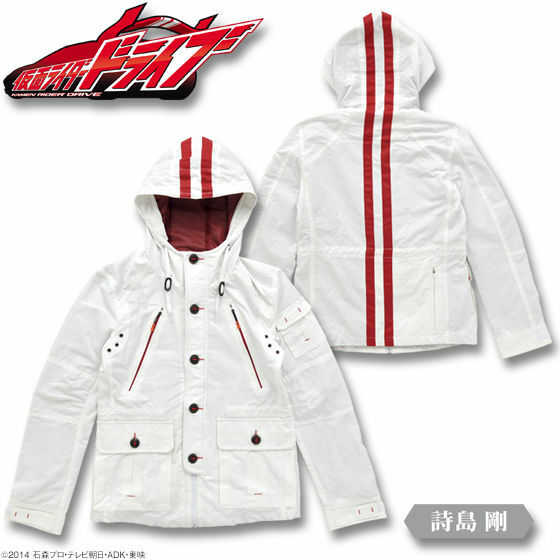 This is Shijima Go(Kamen Rider Mach)'s Jacket from the show, "Kamen Rider Drive". Since a lot fans ordered in Japan. Now we try to bring it to our fans oversea. 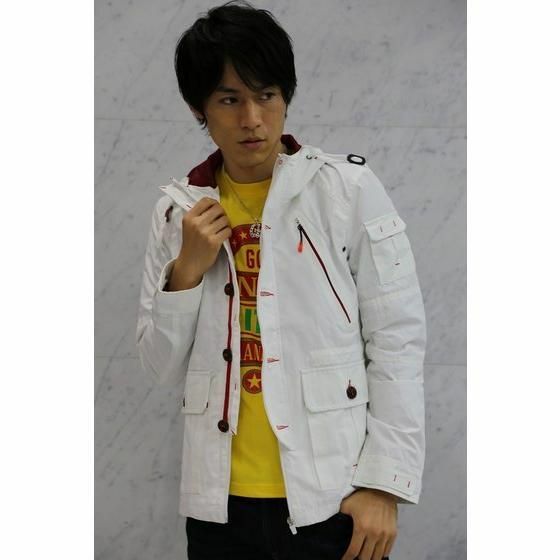 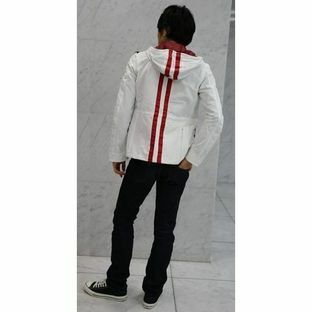 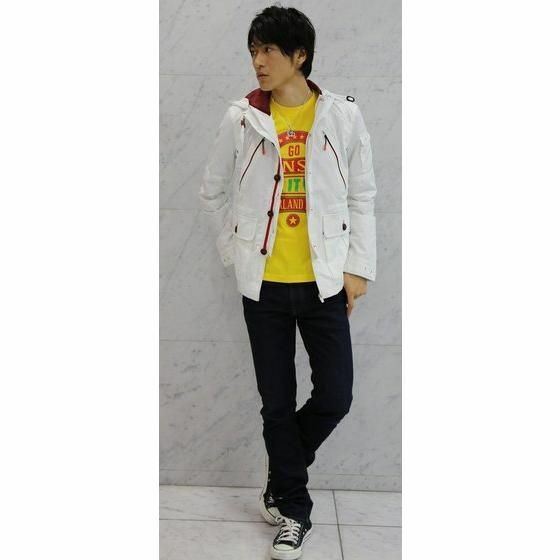 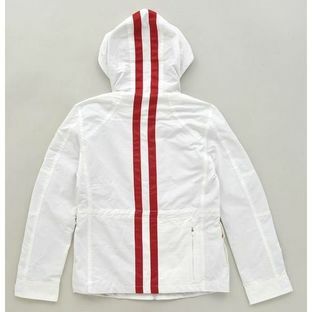 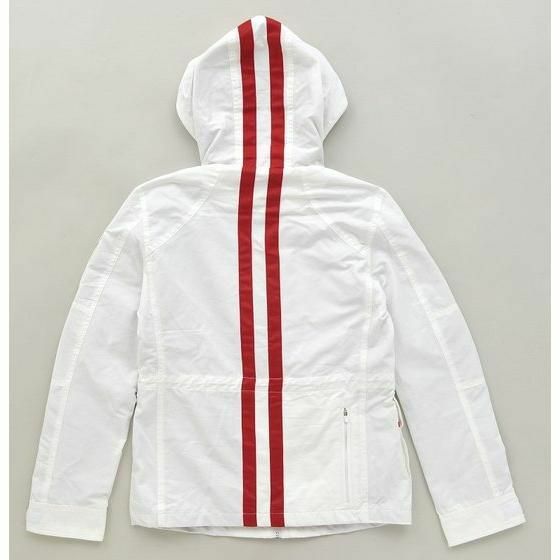 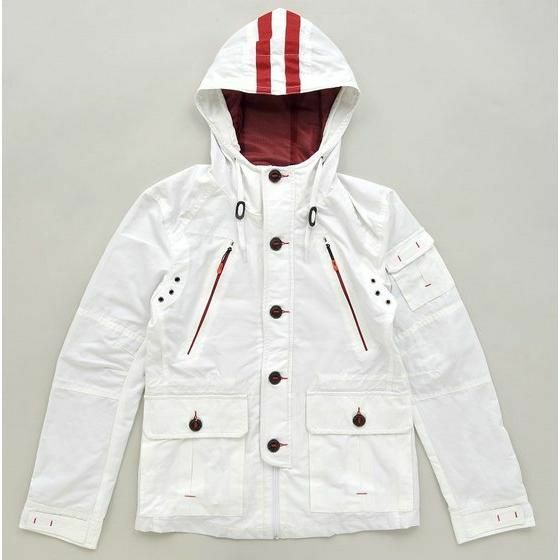 It is a trendy mountain hoodie white jacket with red lines. 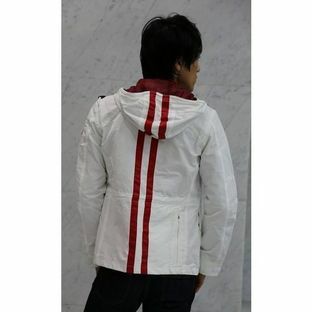 The design concept from the image of Shijima Go as a hero.